Sicily (Sicilia in Italian) is an autonomous region of Italy, and the largest island in the Mediterranean Sea. For more than 2500 years Sicily has been a significant center of viticulture in the Mediterranean, although its reputation is not as immaculate and widespread today as it once was. Blessed with consistently bright sunshine and reliably moderate rainfall, the classic Mediterranean climate is ideally suited to the needs of wine-bearing grape vines. Add to that the paucity of the island’s soils and the hilly landscape in which they sit, and the resulting terroir is almost perfect for growing not just vines but also the cereals, olives and citrus fruits which remain the island’s key exports today. This apparent perfection has, ironically, helped diminish the luster once enjoyed by Sicilian wines, as it encouraged government-driven schemes pushing for higher productivity on the island during the late 20th century. 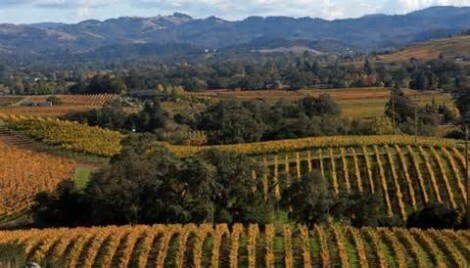 Higher yields led to over-production and lower-quality wines. Fortunately the dramatic surges in wine consumption since the 1980s, and the more quality-focused attitudes of wine consumers, have led to glimmerings of Sicily’s potential being noticed once more. The soils, and the mountains from which they came, are of particular interest when it comes to studying Sicilian viticulture. Mount Etna, Europe’s tallest active volcano at 10,930ft (3330m), dominates the island’s eastern skyline and is responsible for the mineral-rich, dark soils which characterize the Etna DOC. Vineyards are now being planted higher up on the volcanic slopes, to capitalize on the cooler air and richer soils there. The key grape varieties used in Sicilian viticulture are a combination of ‘native’ varieties (those historically cultivated on the island) and newer, more fashionable imports. Nero d’Avola and Catarratto are the most important natives. Catarratto is used to make varietal wines, however a large proportion of it is used to make Marsala, for which it is joined by the white varieties Grillo and Inzolia. Although less famous than Marsala, another sweet wine of significance to the island is Moscato di Pantelleria, the Moscato grape in question being Muscat of Alexandria. In terms of red-wine varieties, the most common after Nero d’Avola is Grecanico, accompanied by small quantities of Alicante (Grenache), Perricone, Nocera, and Frappato, the latter being the key ingredient in Sicily’s only DOCG wine Cerasuolo di Vittoria. 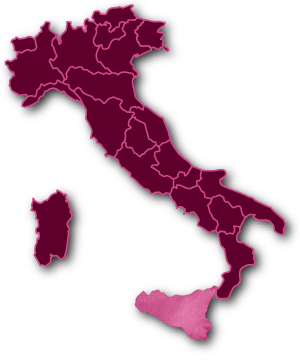 Sibling varieties Nerello Mascalese and Nerello Cappuccio (also known as Nerello Mantellato) are also small players in terms of volume, but are of vital importance around Mount Etna. Syrah has been brought here from its home in southern France, where hot summer sunshine and sandy, rocky soils are also key components of the terroir. The robust red Rhone Valley variety shows every sign of adapting well to the Sicilian heat.